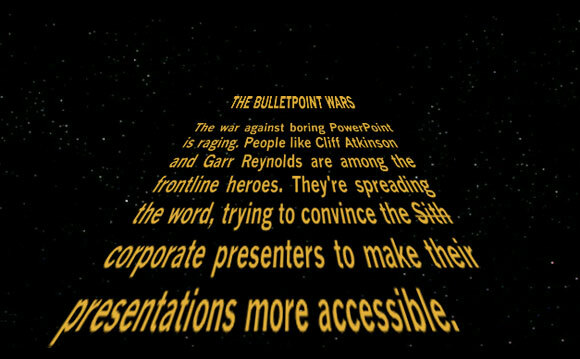 Strong visuals, less text, no bullet points and a clear story-like structure are some of the steps on the journey to become a PowerPoint Jedi. 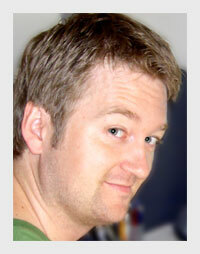 I recently watched a Q&A session with Garr Reynolds where he was asked how best to give a technical presentation. His answer was something like "Give the audience a copy of the printout". (Due to the low image resolution of PP-slides). I agree that this is a good idea but don't think it should be the final word. It is not uncommon that a detailed technical printout is at the heart of the presentation. Normally this would mean an audience familiar with most of the technical terms. If you're giving a presentation of this nature it still needs to be as effective as possible. It is important that you lead the audience so that you all focus on the same details at the same time. This is where the Rebel Alliance can help! 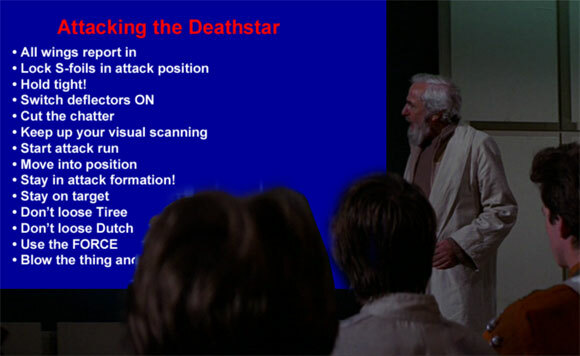 When attacking the Death Star, rebel leaders had to communicate the technical details to a crowd of pilots. They could have just handed out printouts of the thing and given a standard PowerPoint presentation. Luckily they didn't. If they did, the emperor would already have won. Instead they split the information into smaller chunks, focusing on one piece of the puzzle at the time. I suggest you do the same. By all means, let the audience have a printout of the technical information and begin the presentation-segment with the same image. Then you can start focusing on the details. I reckon you don't have an R2-unit to help you, but you might should have some sort of image-processing program and a high-resolution scan of the information you want to share. Create separate images from parts of the high-resolution image, detailing different parts. It is easier to show and tell, than just tell, so I've tried to give an example below. I've borrowed the blueprints from The Essential Guide to Vehicles and Vessels (Star Wars) and Ansel Hsiao (did I get that right?) kindly granted me the right to use one of his 3D-renderings. Check out more of his work at FractalSponge.